Former Defense Minister Moshe Ya'alon admitted on Tuesday that he is seeking to forge political partnerships to kickstart the movement he heads. 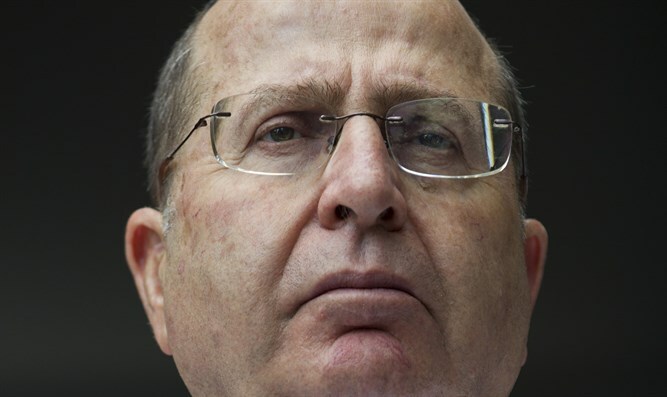 In an interview with Army Radio, Ya'alon said that he is currently holding talks with "anyone willing to talk about the future of the State of Israel, I am talking, among others, to Yair Lapid, Moshe Kahlon, Avi Gabbay and others who still do not want me to mention their names. I am currently dealing with what is right to do so that Israel will be a secure and democratic Jewish state. We must eventually join forces to repair the country. " He referred to the expected decision by US President Donald Trump regarding the nuclear deal with Iran. "This is a bad agreement, there is proof that Iran is spreading weapons for terror, undermining regimes and violating human rights, and this justifies the US imposition of sanctions." According to Ya’alon, Iran is more dangerous than North Korea. “Unlike North Korea, Iran speaks of spreading ideology and taking control of the region,” he asserted.